At R & K Custom Homes, we are always thinking about new ways to design and build custom homes in North Carolina, and we’ve come out of this cold weather season with a slew of new ideas. 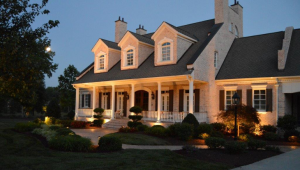 Since 1992, we’ve been one of the leading custom home builders in NC, building more than 300 new homes in Greensboro and the surrounding area. So at this time of the year we pull out our portfolio and recall what we’ve done in the past, and we walk through some of the homes we have underway, and we envision new ideas we can implement in the future. Remember when living rooms were formal places and you always had to warn your kids not to touch anything? Not any more. Interest in formal living or dining rooms continues to decline in favor of more open areas that often combine kitchens and family rooms, with space available for everything from workouts and homework to pizza/movie nights and birthday sleepovers. Active lifestyles require less formal spaces, and people want to feel more connected. As a result, open floor plans that use such features as large windows or retreating glass walls are becoming more popular, because they bring the outside world to you and emphasize togetherness. You don’t need a huge house to feel like you have a lot of room. Many options exist to create a feeling of expansiveness without adding more square feet. You can use windows, combined spaces and open floor plans to give your home a larger feel, or you can increase the number of sliding glass doors that open to the outside. Think of dining areas that open to a patio space or maybe a fireplace used in the family room inside and shared with a patio outside. As we all know, sharing living space with aging parents or returning children is becoming more of a norm. As a result, having more than one master bedroom suite with an adjoining bathroom just makes sense. Not only does this allow family members to move in for long- or short-term stays, but it also creates more welcoming accommodations and privacy for visiting guests. We are pleased to be one of the many custom home builders in NC that have been addressing environmental and health concerns for a long time by installing more energy efficient appliances, lighting systems that utilize sunshine, and better ventilation systems. Now custom-built homes are taking the concept further through design ideas that allow more features of your home to support and encourage your healthy lifestyle. For example, consider a swimming pool kept clean by an adjacent pool filled with plants and gravel so you don’t have to rely on harsh chemicals like chlorine. Or what about garden options where you can plant and grow most everything you need for fresh, healthy meals from your patio, deck or balcony? Let’s face it, people manage much of their lives from smart phones and tablet computers these days. As a result, new homes are creating spaces for charging multiple devices. Examples include the corner of a kitchen or the entrance from a garage. In multi-level homes, a niche can be set aside in an area that most everyone passes daily. Designing and building a 21st Century new home is an evolving process. New possibilities unfold quickly and that’s why it’s still exciting for us at R & K Custom Homes to still be building new homes in Greensboro. Each custom-built home is unique because we not only use the best creative ideas and practices in the business, but because every detail will be a reflection of you, your lifestyle and your dreams. R & K Custom Homes has the expertise to turn your ideas into reality. If you are ready to take the first step, contact us today at (336) 643-3503 for a free consultation. We will work with you every step of the way. Depending on your budget, we can also provide a home designer to aid in all of your selections. We’ll also help you find a great lot in one of Greensboro’s wonderful communities, and provide you with referrals from satisfied customers who are already enjoying their dream homes. Bring your creative ideas, thoughts and vision to R & K Custom Homes and we think you’ll be surprised by what is possible. 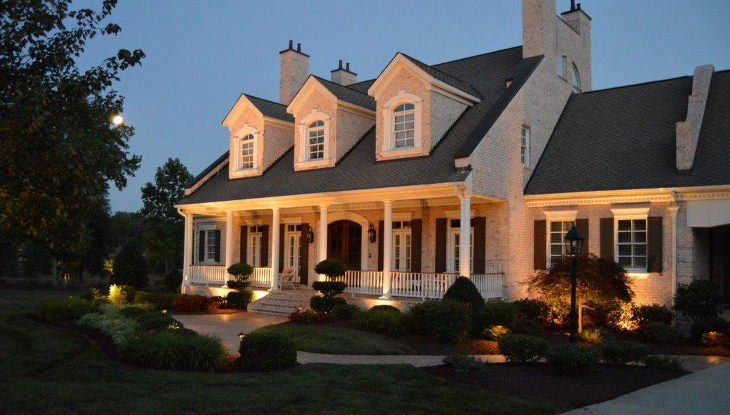 We are proud to be custom home builders in NC, and we look forward to working with you to create your new dream home.